1stGen.org • View topic - 2017 BS and Chat Thread! 2017 BS and Chat Thread! Re: 2017 BS and Chat Thread! Man every year this thread gets started about 3 hours early. And every year I have to make a stink about it. Happy New Year, everyone! Here is some carnage from one of my brother's customer's engine on the dyno. Huh. I didn't turn the daylight savings thing off. 12 minutes early even for you though David, is it that exciting to start the new thread? DMan1198 wrote: Huh. I didn't turn the daylight savings thing off. 12 minutes early even for you though David, is it that exciting to start the new thread? He started the 2016 thread an hour early. peobryant wrote: Happy New Year, everyone! 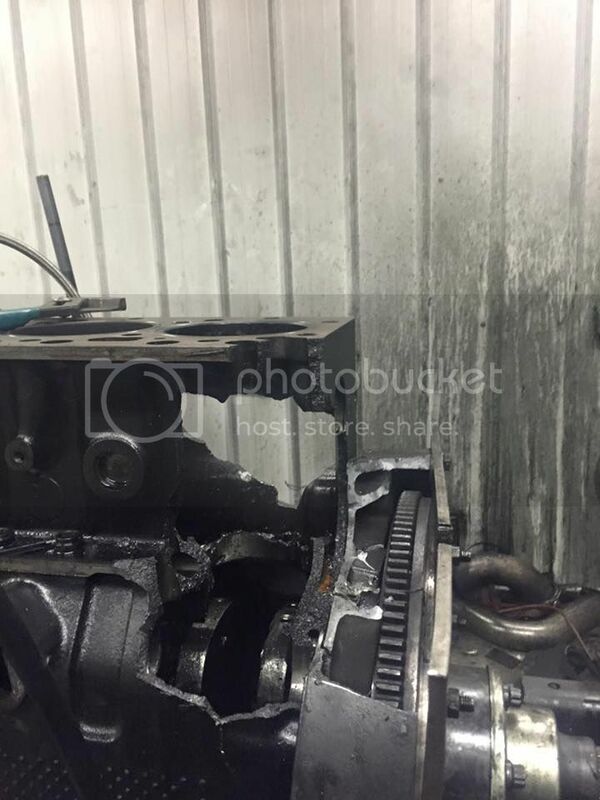 Here is some carnage from one of my brother's customer's engine on the dyno. Good point. I'd forgotten about that til now. Excellent crankcase ventilation. Great rev gain over a standard 5.9. That reminds me of that video of the Cummins explosion on the dyno where the head goes flying. Never did hear what exactly happened with that one. So you going to give us any details on this or just post a picture and skip out for another 9 months or so? Man we almost lost the best website ever. That was scary. Who pays for it and where do we send money to help out? 1st, I want to Thank Dave for starting the thread. If I knew it was ok to start it early I would have done it at 11:30 before I went to bed! 2nd, You guys in the western time zones, move east if you don't like the start time! And 3rd, Fatty, there is a link someplace to chip in, I'll see if I can find it. Swank (Dave) is always open to contributions to help the site! Dave (Swank) has payed-up for the next year. I think it's only $70 but I could be wrong.